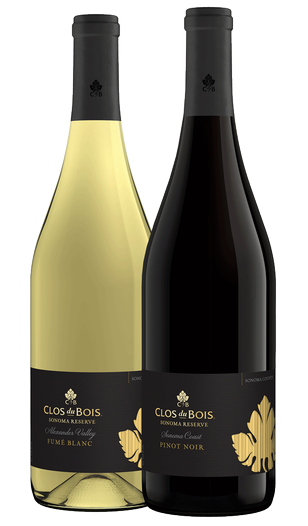 Four wines perfect for any holiday entertaining! Alexander Valley Cabernet Sauvignon & Old Vine Zinfandel, Knights Valley Petite Sirah and Russian River Valley Chardonnay. California classics! 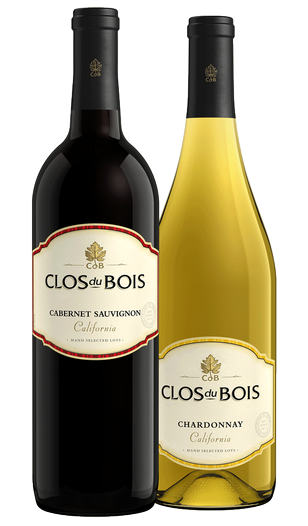 Two of our best-selling wines: California Cabernet Sauvignon and Chardonnay. Just the collection for all your Winter wine pairings! 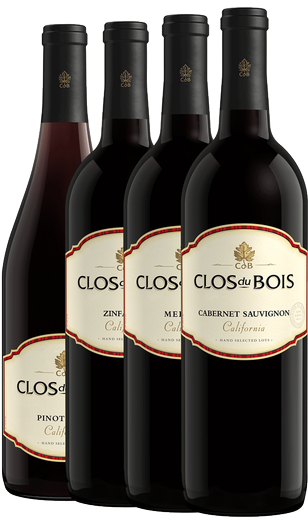 California Cabernet Sauvignon, Merlot, Zinfandel, and Pinot Noir. Best way to enjoy the holiday season! 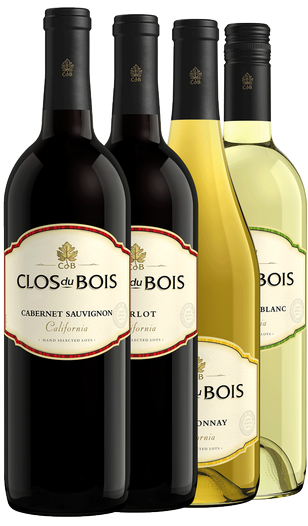 Our always-popular favorites: California Cabernet Sauvignon, Merlot, Chardonnay and Sauvignon Blanc. Celebrate this holiday season in style! 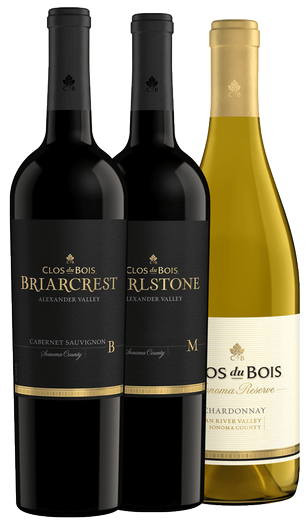 Our Holiday Favorites set includes three exceptional, award-winning wines: Marlstone Red Blend, Briarcrest Cabernet & Russian River Chardonnay. 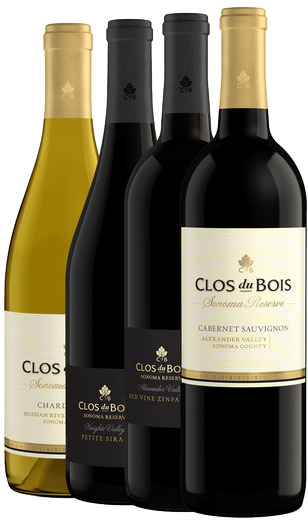 Two excellent selections from our Sonoma Reserve tier, this set makes a wonderful gift. 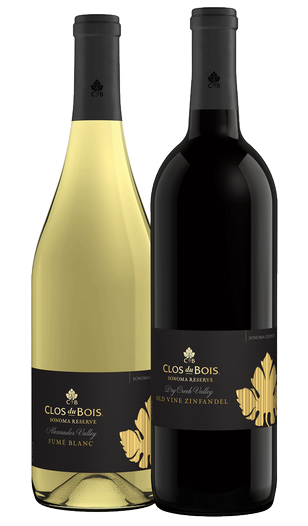 Includes our Sonoma Reserve Fumé Blanc and Sonoma Reserve Old Vine Zinfandel. Two of our customer favorites perfect for gifting or for entertaining at home: Alexander Valley Fumé Blanc and Sonoma Coast Pinot Noir. 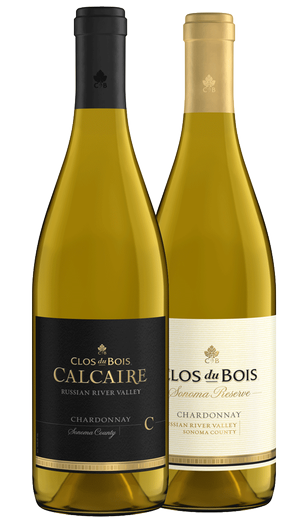 Two of our best-selling Chardonnays perfect for gifting or entertaining: Calcaire Russian River Chardonnay and Reserve Russian River Chardonnay.